2 years 9 months ago. 6 years 1 month ago. HNY All~ MAE is excited to announce an upcoming collaboration with Oaxacan trombone/trumpet virtuoso Faustino Diaz later this year. Faustino is a good friend of ours and if you don't know of him already check out this clip below! 3 months 6 days ago. hearing is believing! 4 months 1 week ago. Music by the incomparable composer Andrew Rindfleisch and performed by MAE 4 months 1 week ago. Rumor mill has it that the Meridian Arts Ensemble might be starting up her engine again.... 4 months 1 week ago. Nice T-Shirt the MAE should wear on their next world tour 😀 (seen in Greenwich, London where you can find the mother of all Meridians) 4 months 1 week ago. 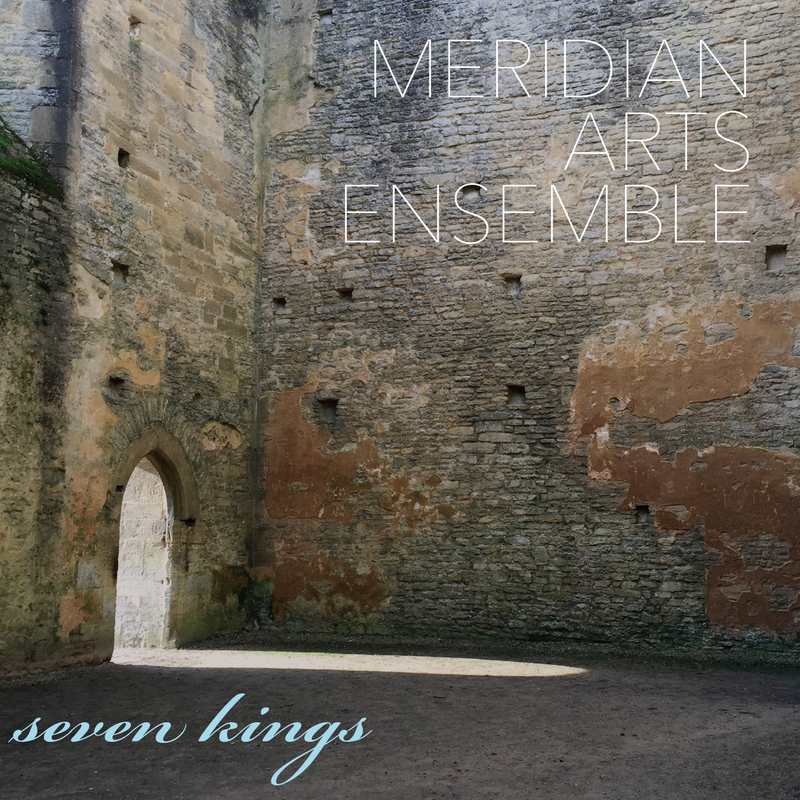 The Meridian Arts Ensemble is excited to announce the release of its latest album, Seven Kings, on the innova label. The album features music by composers David Sanford, Edward Jacobs, Robert Maggio, Dave Ballou, and Daniel Grabois (who is also the ensemble’s horn player). The oldest pieces on the album date from 1996, the newest from 2010. Composer Dave Ballou also performs a solo improvised trumpet part with the ensemble in David Sanford’s work. Meridian (MAE) was founded in 1987. The group consists of a traditional brass quintet – two trumpets, horn, trombone, and tuba – plus a percussionist. The winner of numerous competitions including the prestigious Concert Artists Guild Competition, the MAE went on to release nine recordings on the Channel Classics label and two more on the ensemble’s in-house 8bells label. This is the first recording of the MAE released by innova. The MAE is known for its performances of music covering a broad range of styles, from Renaissance music up through the most contemporary pieces, as well as works of jazz, rock, and ethnic music. Seven Kings explores contemporary music styles ranging from Sanford’s jazz-flavored work (the title track) to Jacobs’ carefully crafted modernist piece. Robert Maggio’s composition was inspired by the Jim Jarmusch film Dead Man, and Daniel Grabois’ piece was inspired by a Schubert song. The work by Ballou unfolds like a jazz improvisation, developing momentum from the beginning to the end. Meridian has toured extensively, performing in 49 states and throughout Europe and Central and South America. The ensemble has premiered over 50 new works, most of them commissions. Several ensemble members compose, arrange, or both. The MAE has performed with Duran Duran and recorded with Natalie Merchant. The group is well known for its performances and recordings of the works of Frank Zappa, for whom the MAE played twice before his untimely death.